Pristine Hearing believes in clear and transparent pricing from the outset. We also know that a patient will only get the most out of a hearing aid if they receive expert audiological support. 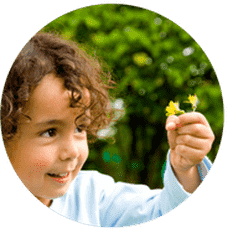 We therefore believe the value of this specialised expertise provided by our esteemed Audiologists should be paid for as distinct from the cost of the hearing aid or device itself. ​Each patient will require a different amount of support or rehabilitation depending on the complexity of their hearing difficulties. As such, you should only pay for the rehabilitation consulting time you need. 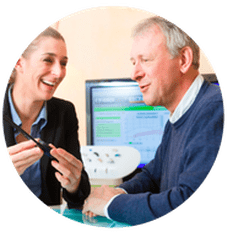 Our patients can always expect a detailed written quote for both the hearing aids and the clinical time and expertise required. This is to always ensure pricing transparency. This is quite a novel approach to the pricing of hearing aids. Most audiology clinics bundle the cost of the hearing aid with the clinical time they provide which means for some patients, they will be paying for clinical time they don't need and will never use. Unbundling empowers the patient and can be more economical in the long run. ​from to accompany your hearing aid purchase. 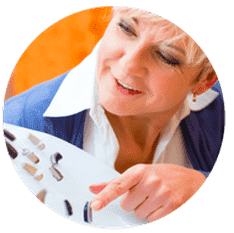 Pristine Hearing maintains the same margins across all our hearing devices as it is the fee for our clinical time and expertise that covers our costs, not the sale of the hearing aids. 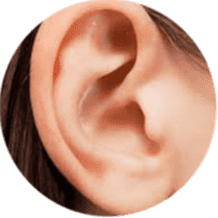 This ensures our Audiologists have no incentive to recommend you any particular hearing aid other than what will be most suitable for your needs. Pristine Hearing provides a broad portfolio of Audiologial services. We are therefore not reliant on the sale of hearing aids to keep our clinic afloat. As such, as a patient you can expect not to feel pressured to purchase hearing aids or participate in treatments you are not comfortable with. All our staff are committed to ensuring our patients feel comfortable, feel listened to and receive the best and most thorough audiological care imaginable. 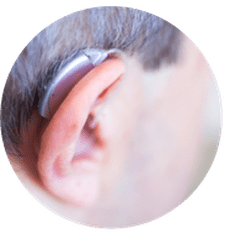 Every hearing aid purchase is accompanied by a rehab option which is associated with the level of care you require from your Audiologist to get the most out of them. Below are the rehab options you can choose from. We also allow flexibility so you can transfer between treatment options and you can also use existing hearing aids too. If I choose one of the Care Packages above, what ELSE is included? ​Our Rehab options will include services for the assessment of your hearing loss as well as services related to the treatment of this hearing loss. Please note that tests and procedures will vary depending on clinical need. 1) Hearing aid fitting and full rehabilitation by an accredited Audiologist includes: initial hearing aid programming, real ear measures, Bluetooth pairing, device management, full rehabilitation treatment program. 2) Hearing aid follow-up, fine tuning and rehabilitation review by an accredited Audiologist includes: follow up hearing aid programming, real ear measures, aided vs unaided speech testing in quiet, aided vs unaided speech testing in background noise, full rehabilitation treatment program review, COSI evaluation. 3) Unlimited hearing aid adjustments and fine tuning by an accredited Audiologist (includes remote adjustments via your mobile) - for Annual & Premium Care only. 4) Hearing aid adjustment follow-up appointments by an accredited Audiologist. 5) Ear wax/foreign body removal and management by an accredited Audiologist using gentle micro-suction technology. 6) Full walk-in servicing of hearing aids including cleaning, receiver/tube replacing, housing change and Bluetooth pairing by audiology assistants or administration. 7) Assistance over the phone or via a live video streaming service through your smartphone. ​If I purchase a hearing aid, what are your standard inclusions? ​First year batteries fully covered (for Annual and Premium Care only, 3 months FREE supply for Basic Care). 60 day device satisfaction money back guarantee. Free custom moulds if clinically appropriate. Free professional microsuction earwax removal. ​What do Hearing Aids normally cost? The cost of hearing aids will vary depending on brand, style and features. You can use the following as a general guide for private purchase hearing aid pricing. 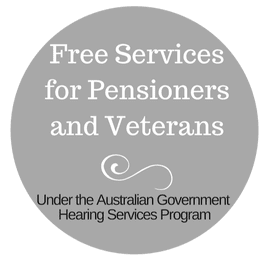 For pensioners or patients on the Australian Government Hearing Services Program, the Basic level is usually fully-subsidised while subsidies also apply to the higher levels of technology. The Government will usually provide around $400-$500 for each hearing aid you require. For more funding options, go here.